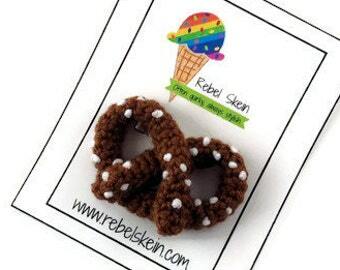 This is nacho average hair bow... see what I did there? 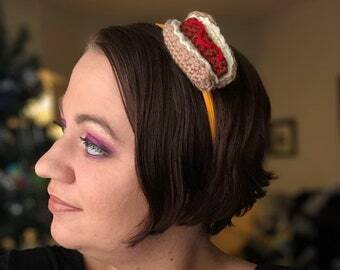 Your love of nachos will never be doubted again once you add this headband to your collection. 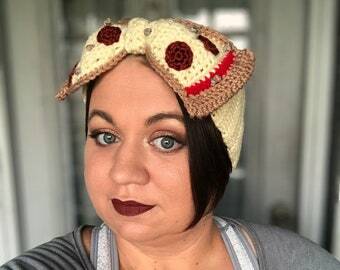 This cheesy headband is made from felt and features dripping yellow cheese, sliced jalapeños & black olives, and pieces of tomatoes. 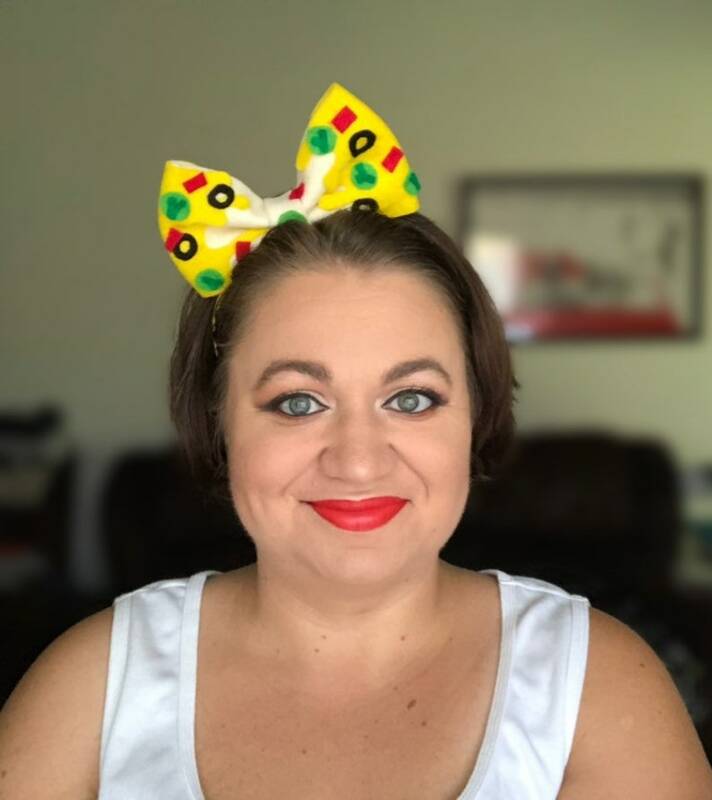 The off center bow is secured onto a yellow headband and is decorated on both front and back so you can wear it on either side of your head. If you would like your bow centered please select that option of the drop down menu. The bow measures approximately 6 inches long by 3.5 inches wide. Just like real nachos, the placement of your cheese and nacho “fixings” will vary from the bow pictured. Made in a smoke free, but very nacho friendly home.